Wat Chaeng Saeng Arun is a Buddhist temple located off the Suk Kasem 8 Alley in Sakon Nakhon, Thailand. 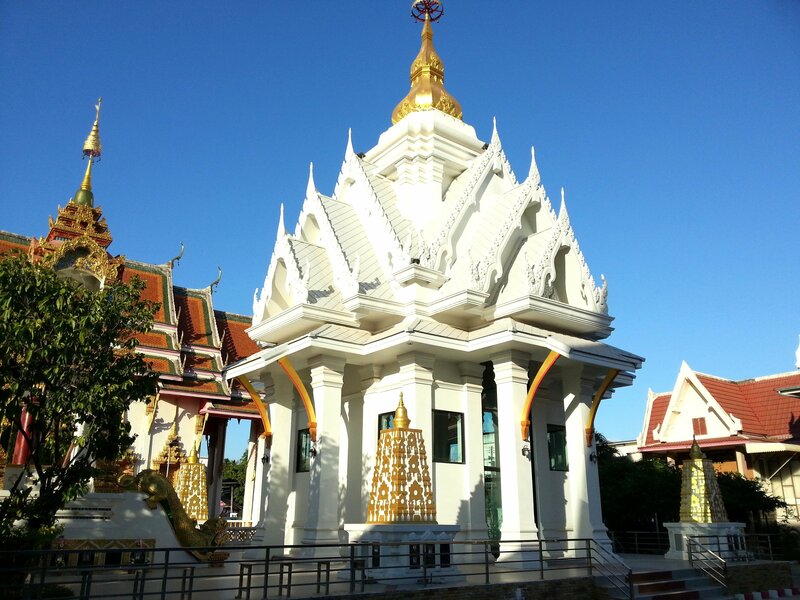 Wat Chaeng Saeng Arun is open to visitors during daylight hours and entry is free. Wat Chaeng Saeng Arun is working temple which is off the tourist trail. 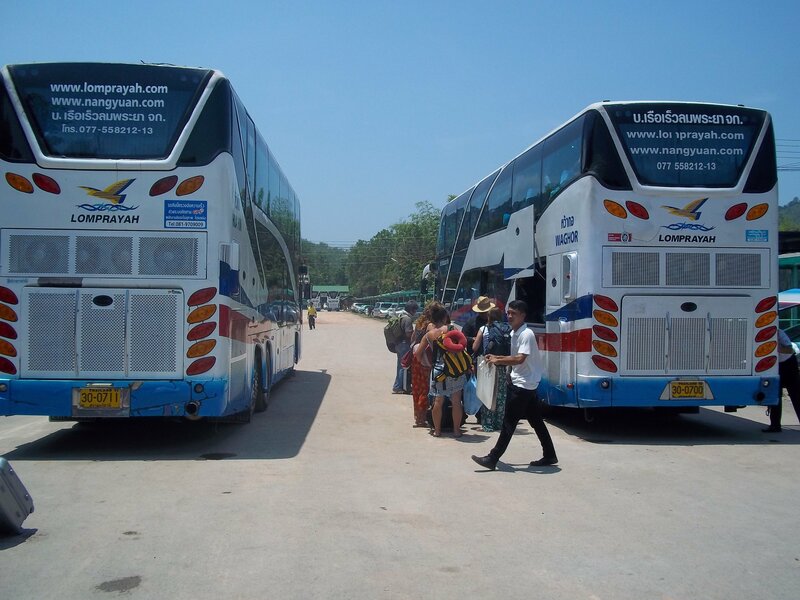 Few visitors other than the local congregation go to Wat Chaeng Saeng Arun. The temple houses a lot of monks and the majority of the temple grounds is given over to facilities for the monks. 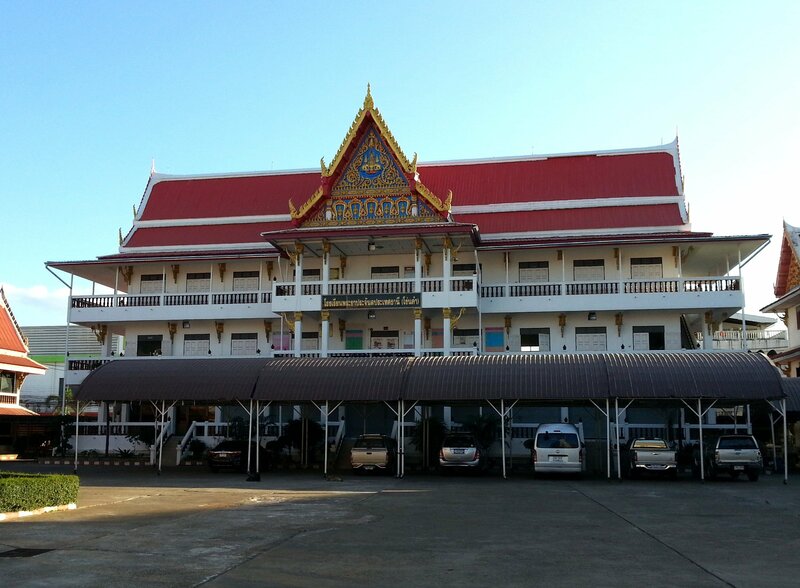 There are, however, several interesting buildings at Wat Chaeng Saeng Arun which make the temple worth visiting. 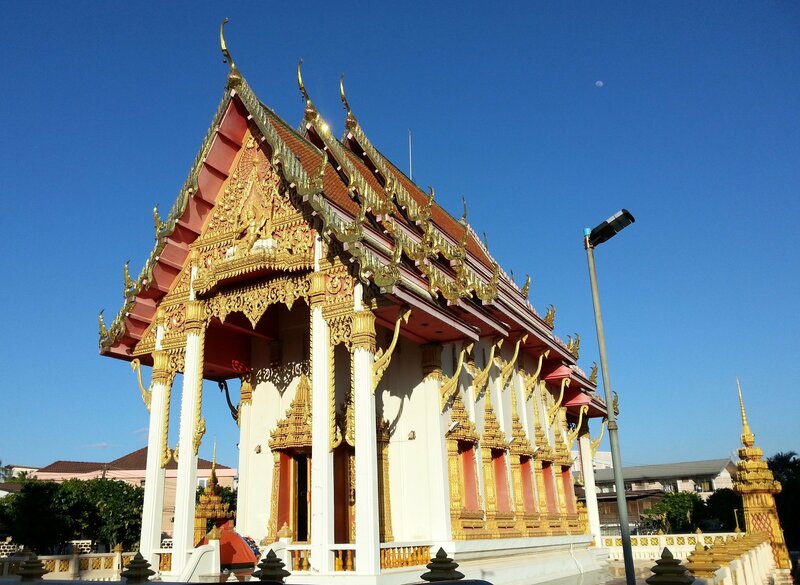 The main temple building, the viharn or ordination hall, is a classic example of Thai temple architecture. This small viharn has impressively detailed architraves over the windows and very ornate decorations in gold relief on the front gable end of the multi-tiered roof. The stupa at Wat Chaeng Saeng Arun is also interesting. 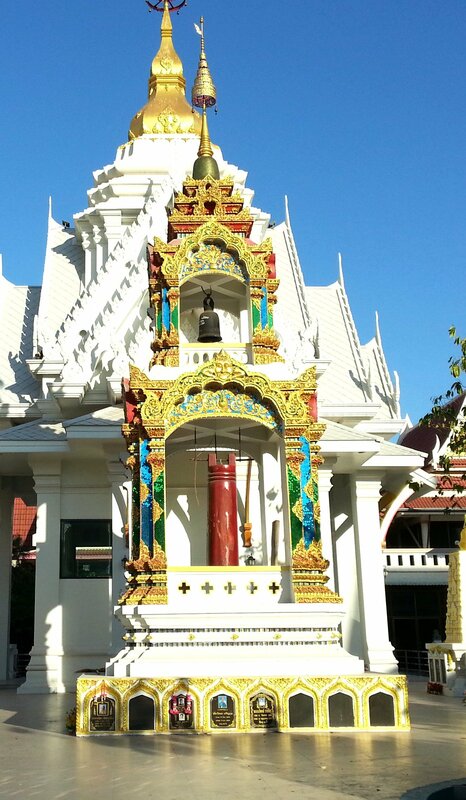 The stupa features another multi-tiered roof, in white, mirroring the 3 tiers of the adjacent viharn. On top of the tiered roof is a spire covered in gold paint topped by a gold umbrella ornament. Wat Chaeng Saeng Arun also has a bell tower. 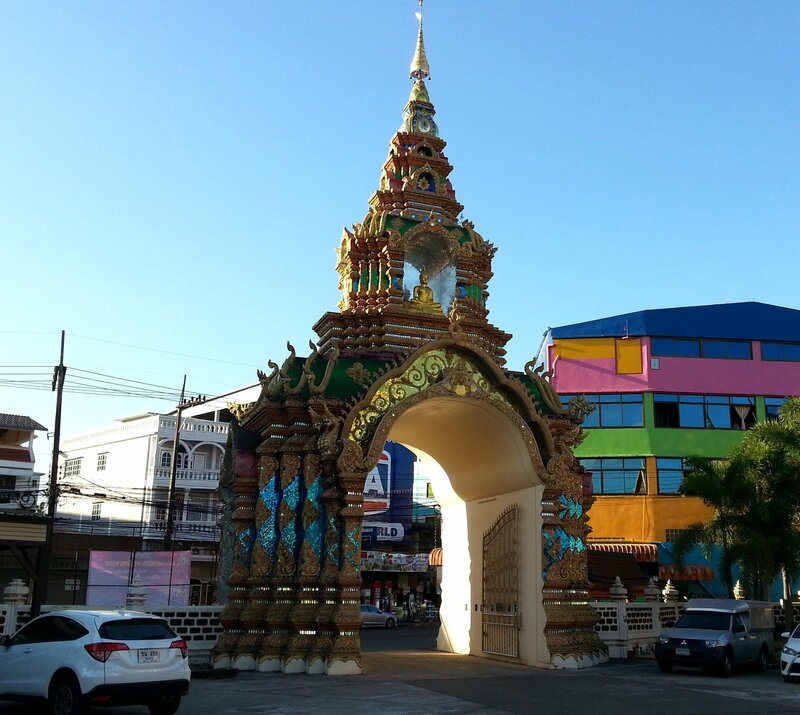 Bell towers are a feature associated with Buddhist temples in Lao used to mark a central point in town, and this is appropriate for Wat Chaeng Saeng Arun as it is located in the centre of Sakon Nakhon. The bell tower has elaborate and colourful patterned tiling on the outside and is in our opinion the best of the artwork at this temple. The fourth point of interest for visitors to Wat Chaeng Saeng Arun is the gopura like entrance tower to the temple. The design of this grandiose gate is in part Khmer, but with the addition of the same colour tiling that adorning the bell tower. 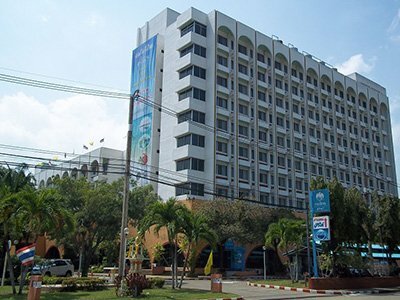 Taken as a pair, the entrance gate and the bell tower are impressive and would gain far more attention if they were located at one of the better known temples in Thailand. 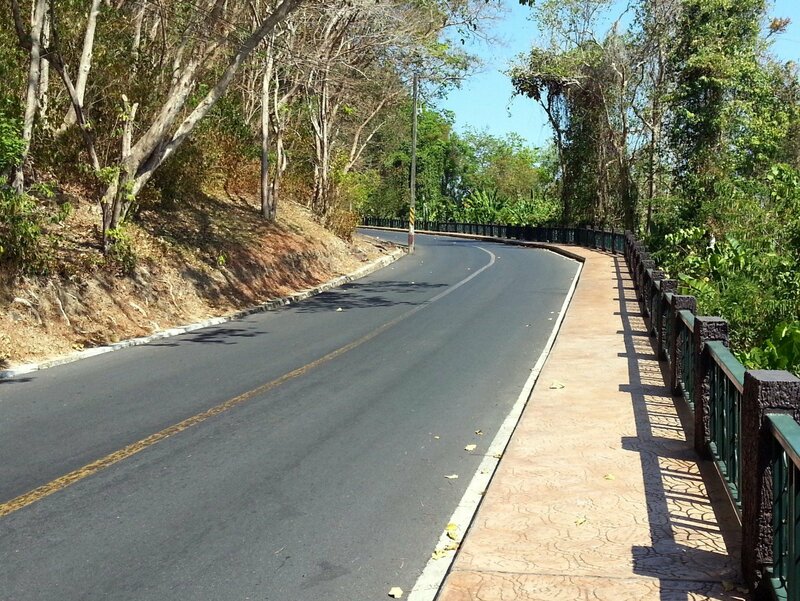 Wat Chaeng Saeng Arun is located 5.7 km by road from Sakon Nakhon Bus Terminal 2.